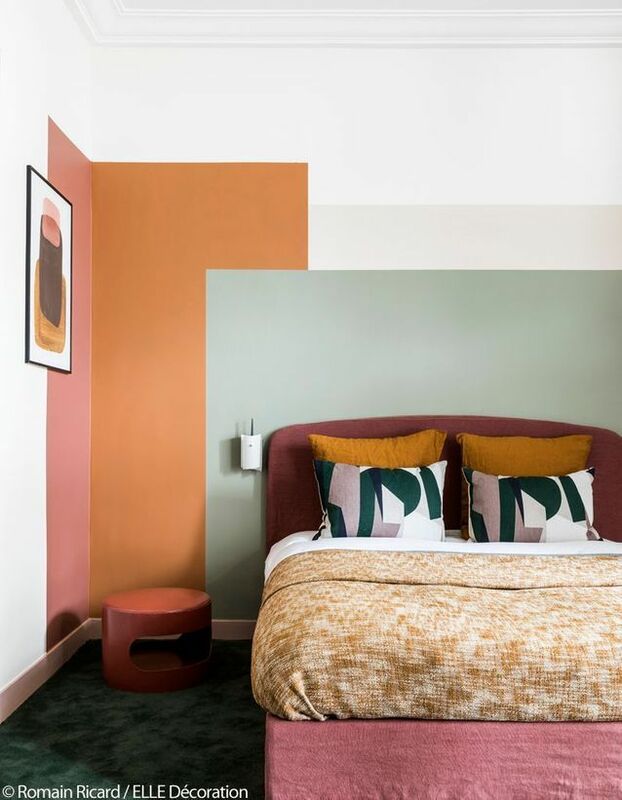 Color blocks can be used in any room. 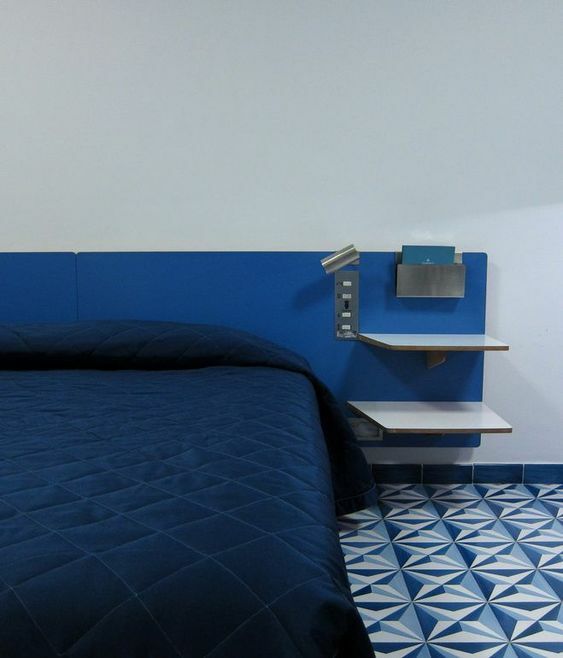 Using blocks of different color can make the room look unique and interesting. While bedroom tend to be neutral, it does not mean that playing with color will make it less comfortable, especially when you love colors. 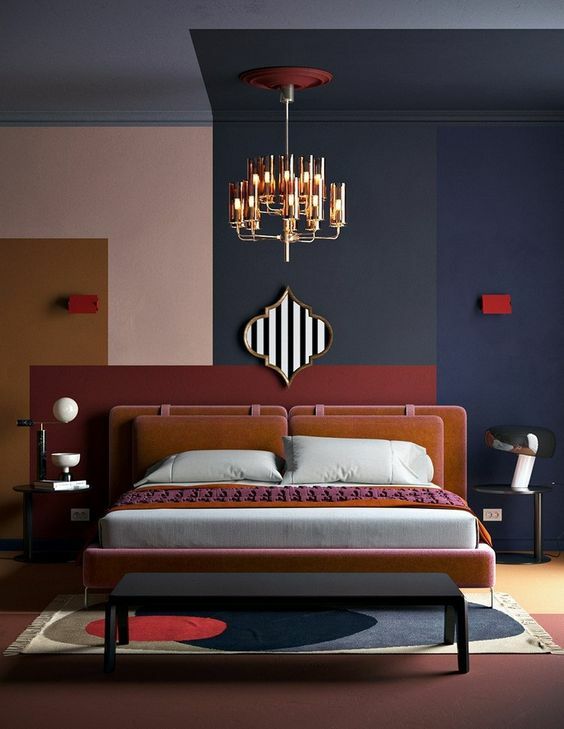 Here below are ten stunning bedrooms with color blocks inside that you would love. 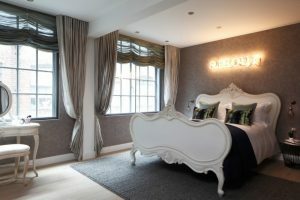 This bedroom looks gorgeous and neutral with all white and grey touch. 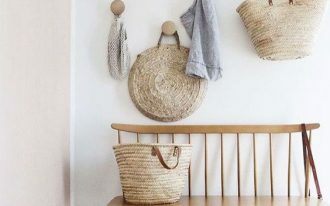 However, with peach bench on the head of the bed that decorate the wall and floor, it makes the room is touched with interesting thing. 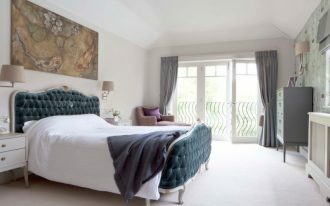 This one here shows a really simple block by the head of the bed. 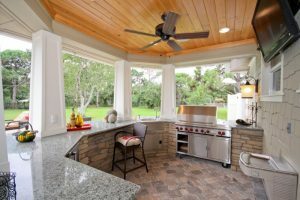 The area is simply painted to create an interesting finish. Completed with minimalist floating shelves and sconce on the painted area, this arrangement is perfect for those who love simplicity. 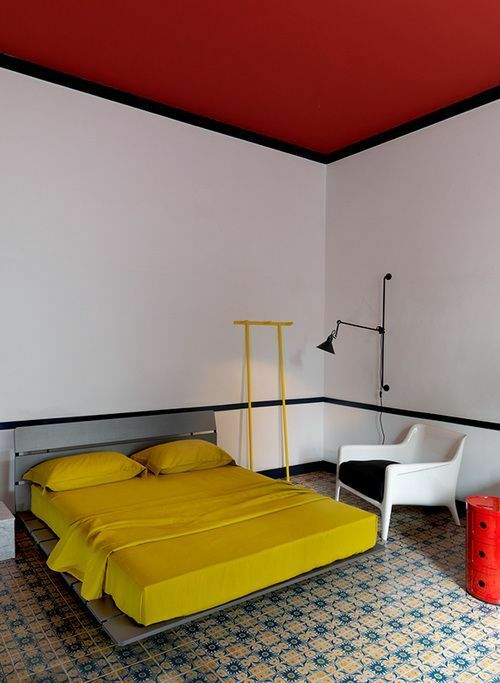 This bedroom shows a bold ceiling statement with red painted on the entire ceiling. 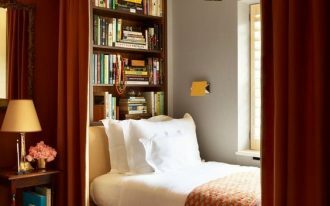 And to complete the color blocks, the bedding is in for the game with yellow bedding so that this room has a bold showdown both from the top and from the bottom. This one looks like a composition for a small apartment. However, the small bedroom has an interesting colors on the door. 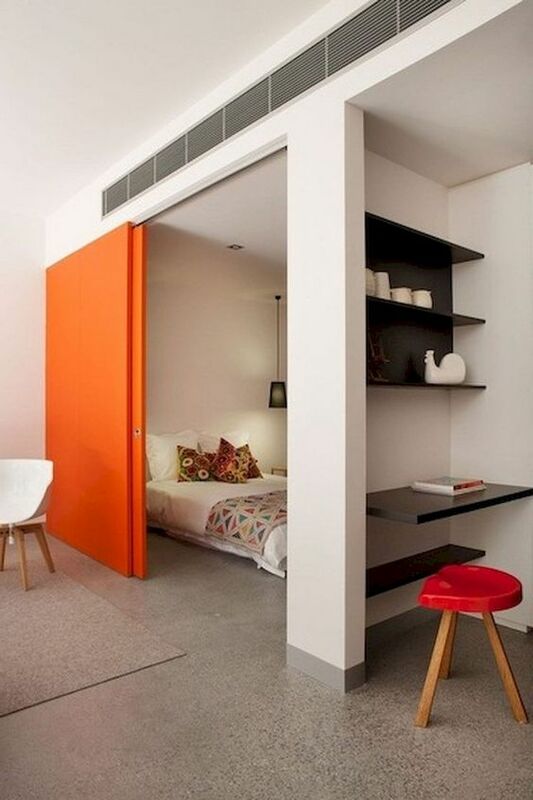 Painted in orange, it has been an interesting sliding door that separate the room with the rest of the space in bold impression. An interesting separation is also seen in this one. 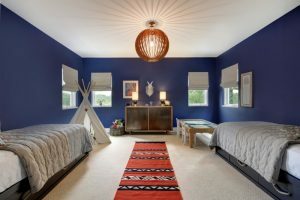 With blue painted wall, ceiling, and floor, it marks off the bed area prettily while leaving the rest in neutral white. It creates an interesting two-colored room. Similar to the previous one, this one too holds an interesting line for the bed head. 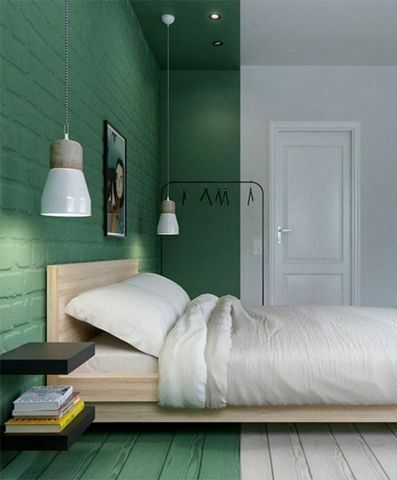 However, not the big and large area like the one before, this one here simply painted a small area of the ceiling, wall, and floor on green while making an interesting kind of box and leaving the rest of the room in white. 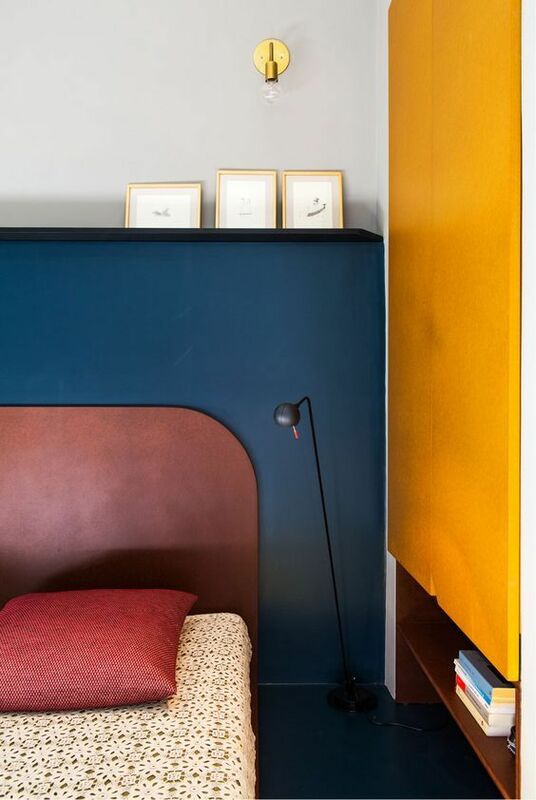 This bedroom shows a bolder move in playing colors. On the wall, some color blocks on grey, beige, pink, and orange are decorating while the floor is in dark green with pink stool. The bed platform takes some part too in being pink. 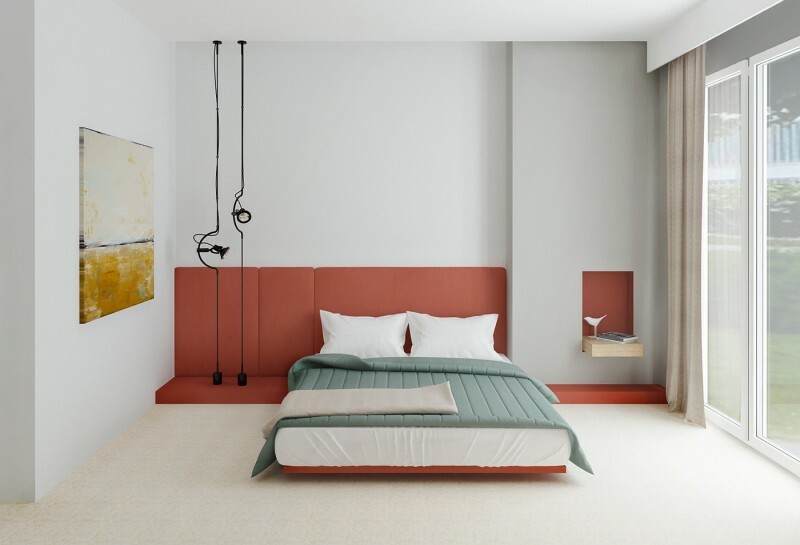 This one here does not only shows bold colors but also shows contrast in the room with dark green color on the wall and floor and bright orange on the cupboard. To complete the look, the bedding also plays the color block in its pink headboard. Similar but even bolder, this one here puts some clash on the dark colors on the wall and floor. 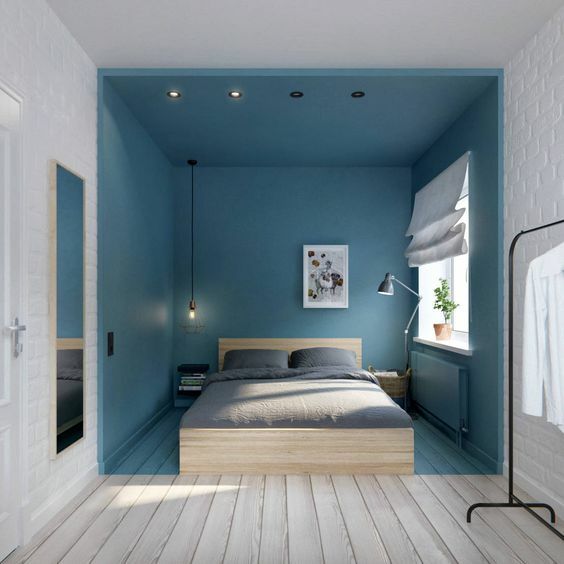 By using the continuity of painted wall to the ceiling and to the floor, this room is like creating its own illusion to the world of box and colors while managing to look elegant in the same time. 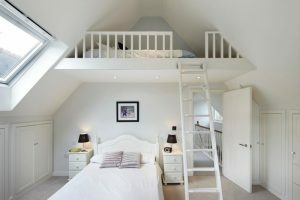 If the previous ones seem like making its simple trick on the bedroom, this one here plays a greater game. With the contrast of white and bright pink, this one here is not only successful in putting up contrast but also making the room look really bold and looks like it has whole different dimension. Although, not everyone can be brave enough to have this.